The first VAR decision in Champions League history was made on Wednesday night, with Ajax controversially having a goal disallowed at home to Real Madrid. 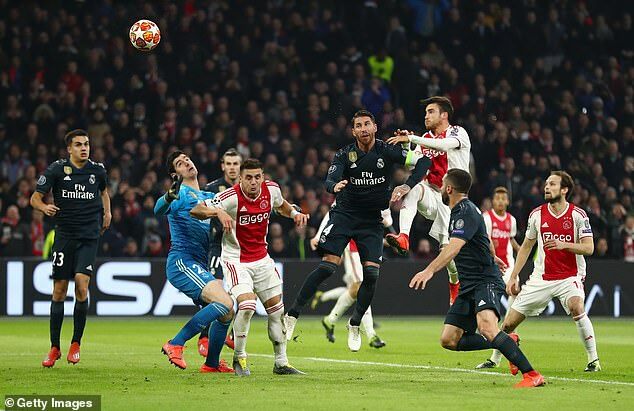 Ajax thought they had taken the lead after Nicolas Tagliafico captialised upon a mistake from Thibaut Courtois and headed the ball into the net. 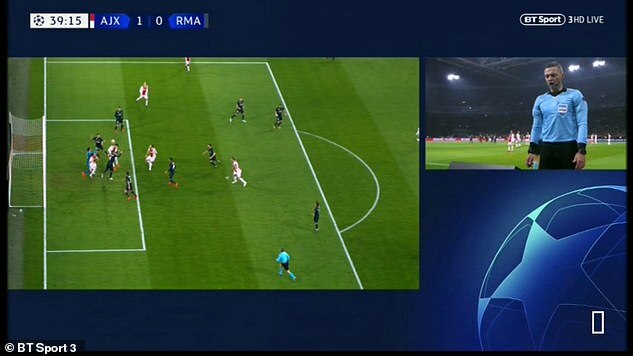 However, the goal was subsequently ruled out, with referee Damir Skomina using VAR to deem that Ajax’s Dusan Tadic was in an offside position. Skomina took his time to assess the footage, and the decision was certainly a difficult one to make, with it not being entirely clear whether Tadic was offside. Boos rang out from the Ajax supporters at the Johan Cruyff Arena after Skomina made the decision. VAR is being used in the Champions League for the first time in the knockout stages of this season’s competition. There were no major incidents in Tuesday’s games as Paris Saint-Germain beat Manchester United and Roma got the better of Porto. Ajax were left frustrated that they weren’t able to go into the break into the lead having produced an impressive first half display.